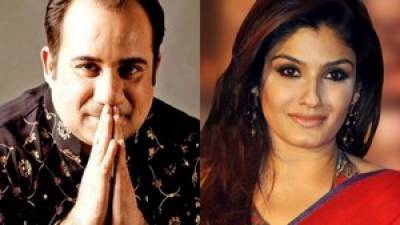 Mumbai (Web Desk): Pakistani singer Rahat Fateh Ali Khan will not appear in Raveena Tandon's film Maatr, India Today reported. Anjum Rizvi, the producers of Raveena Tandon's film Maatr, told reporters, "It would've been ideal if we could, but unfortunately at this stage, it's not happening." The filmmakers will now apparently feature Raveena's scene from the film in the music video instead of Rahat's. However, speaking at the trailer launch of Maatr, the actress shared that she feels art and culture should not face restrictions. "As far as I am concerned, I feel art, culture, music have no boundaries. Music is something which flows from within, has no walls, you can't conceal it. Once the sound, musical notes are out you can't control it."